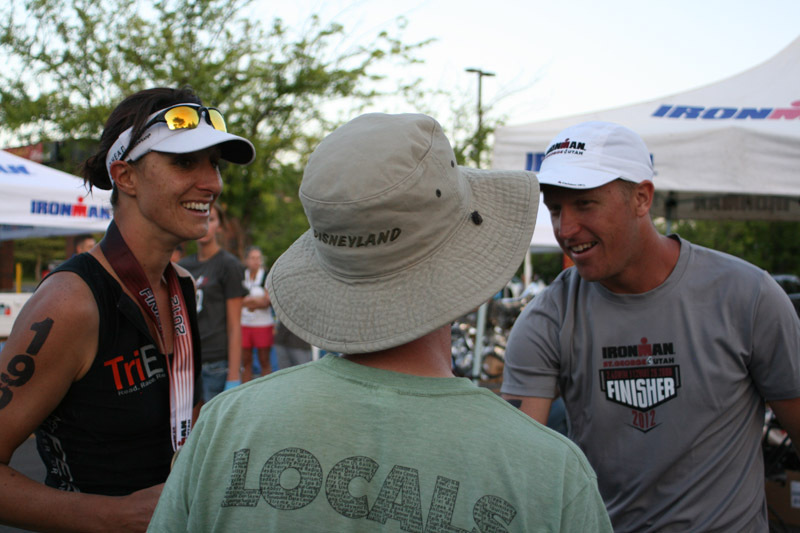 Triathletes are accustom to doing HARD things. We do HARD all the time. HARD is what we live for. We thrive off of it. We love to go long and go HARD. But there are different kinds of HARD. One version of HARD brings you to an entirely new level. You thrive. You step up to the challenge with the spirit of a tiger. Then there is the other version of HARD. It beats you to a pulp and every time you get up, it hits you harder. In order to conquer this type of HARD you have to dig DEEP. Very deep. 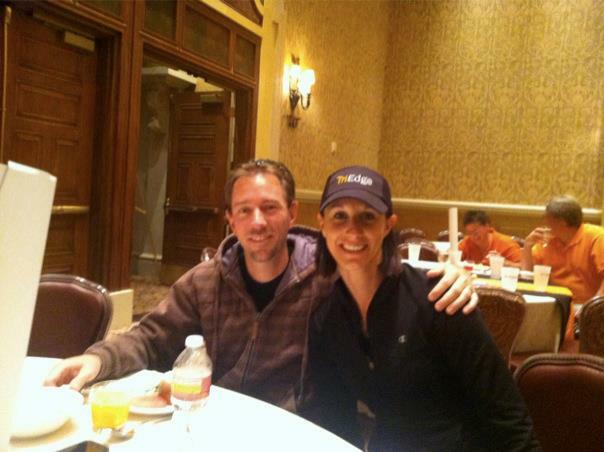 The kind of HARD we experienced at the Leadman 125K in Las Vegas was the latter. Heath and his pre-race breakfast! I had traveled to Vegas with my training partners and fellow HT Training athletes Heath Burchinal and Craig Coats. We were already VERY impressed by LifeTime Fitness, the company who owns and operates the Leadman series. We were wowed at packet pick-up with not just numbers and timing chips, but jerseys, technical long sleeve shirts, water bottles, drawstring bags, visors, temporary tattoo numbers………..THE WORKS! LifeTime clearly was here to make a statement. This would be a well organized event that was going to great lengths (and cost) to take care of its athletes. The roster had some big name pros competing for a purse totaling $30,000. The race was bringing in a competitive group of athletes. I WAS VERY IMPRESSED! Headed to the Lake. This is the way the flag greeted us! The week prior to the race was full of taper, rest and weather reports. None of which was going well in my case. I had more of a rest week than a taper week because my left calf had been tight and acting up the weekend prior. That resolved in a few days and was feeling great. On Wednesday I noticed that the weird little pain under my right ankle bone had turned into pain with every step. If I tried to jog it sent pain throughout my foot. Not a good thing. I didn’t know what to do. I continued to rest and pray that on Saturday, through some miracle……my foot wouldn’t hurt. All the rest made for some nice, fresh legs that were ready to go. That foot just didn’t want any part of it……I didn’t know what to expect. The weather reports were sketchy. They called for hot temps in the upper 80s and a wind advisory for 25-35 mph sustained winds, gusting to 50 mph. YIKES! Those are awful conditions for a triathlon. Our coach and some other friends from up north made the decision not to race due to the forecasts. We figured that we were close to Vegas and wouldn’t be out too much time and effort if things got modified. We were committed. We were going. Heath, Craig and I left mid-afternoon on Friday and stopped by the lake for a little dip. We knew that the water would be cold and just wanted to be prepared for the next day. 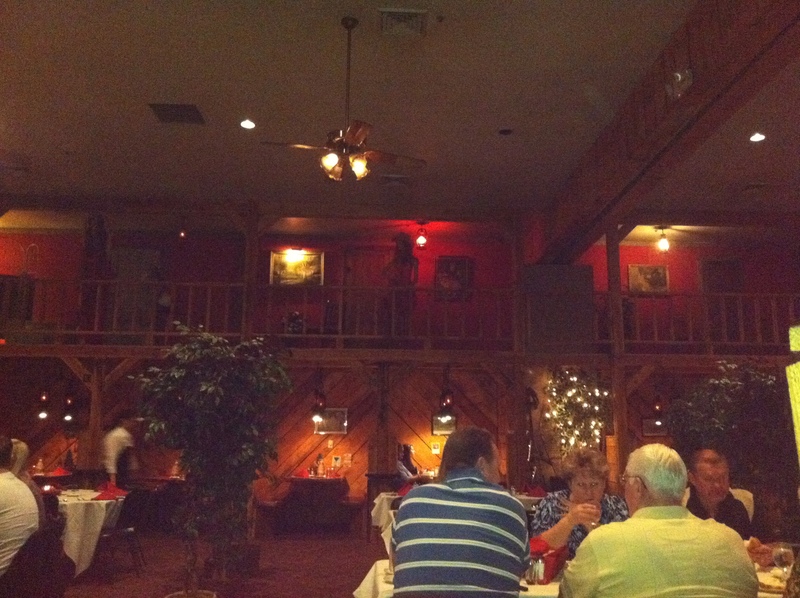 We were pleasantly surprised. It wasn’t bad at all. Of course, the sun had been blazing and the wind was calm, but the water was so much better than I expected. We were ready! This is the face of a drown rat who just washed up on shore. The race start was later, at 10:00 a.m., so we had the opportunity to sleep in a bit and take our time. That was kind of a nice change from the early morning rush……..though with every passing hour, the wind seemed to get stronger and stronger. When we arrived at the lake the flag was standing straight out and white caps were starting to form on the water. Our biggest fear was that they would cancel the swim. This typically happens in triathlon when the conditions are too rough to keep the safety kayaks and paddle boards in position. 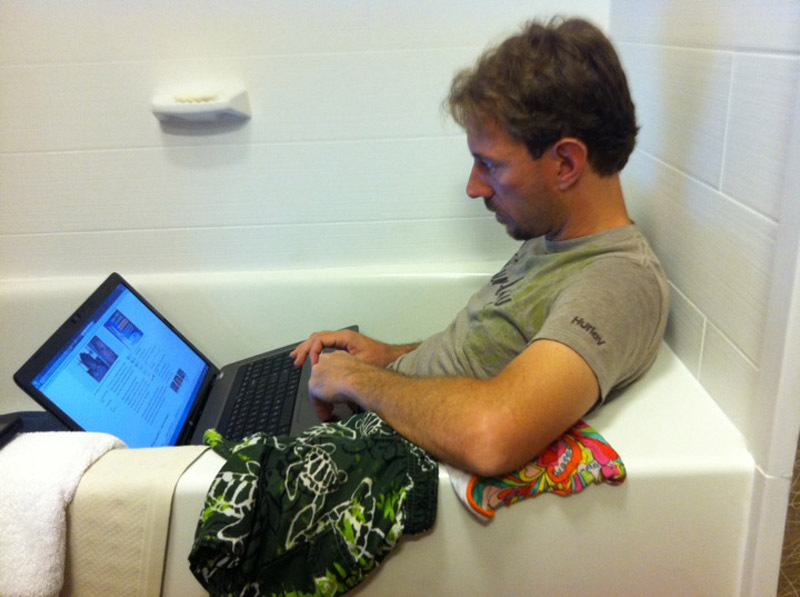 The water wasn’t pretty…….it was rough……..but the race went on as planned. It was a wave (small groups starting a few minutes apart from one another) start and my wave consisted of the younger women and there were only about 20 of us. Besides noticing that there were not many females in this race, I also noticed that the water was SIGNIFICANTLY colder than the evening before. It was FREEZING! Okay, it was doable, but it was quite cold. 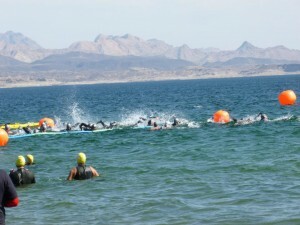 The swim was a large rectangular course that we would swim in a clockwise pattern. We would swim left first, with the wind and waves at our back before turning into an almost mile long stretch with everything in our face. It was going to be tough. The gun went off and I quickly was in a good line and rhythm. The water was super clear and I could see all the way to the bottom (15-20 feet down). There were lots of plants, fish and other things to look at. 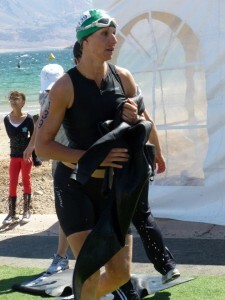 I tried to pay attention to my stroke and realized that it had been a long time since I swam in my wetsuit. It just felt so different! The first bit of the swim was over quickly due to the waves. As I turned the first buoy, I had a taste of what the next 35 or so minutes was going to be like. 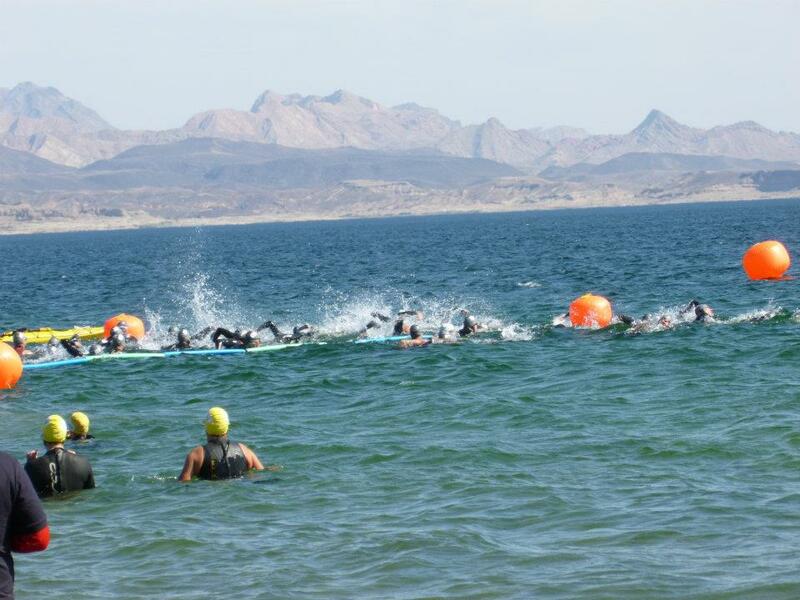 Following the rectangular pattern we were swimming across the breaking waves. It was miserable and slowed me almost to what felt like a stop (compared to the body surfing I was just doing). I continually told myself to just relax and not fight the water (this would become a mantra for the next MANY hours to come). I turned the second buoy and headed straight into the wind and waves on the long straightaway. IT WAS NOTHING SHORT OF BRUTAL. It was difficult to spot because the waves were at least 2 to 3 feet above us. It actually felt like swimming in the break of the ocean. You would feel your body rise and fall with the waves. It was very difficult to even stroke. When I was able to stroke, I was needing to breath every stroke rather than my typical every 3. Breathing on the left side was nearly impossible because that was towards the breaking wave and you were guaranteed a mouth full of lake water. My mantra continued as I tried to relax and find some sort of a rhythm. It didn’t happen. It was impossible. I just calmed down and tried to keep moving forward. I knew relief would come when I could turn back to the transition area and out of the water. The straightaway took FOREVER! I knew I was not swimming fast, but there was not a thing I could do about it. I was being pounded by the waves. I consider myself a fairly strong swimmer and could not stop thinking about others who may not be as comfortable in the water. What would they do? This was some of the worst water I had EVER swam in. I wouldn’t be swimming in that kind of water, but for the fact that I was in a race and had the comfort of knowing that there were safety patrols nearby. I rounded out of the head wind and back into the cross wind. It was worse than the headwind but luckily it was short. I turned the final bouy and headed to the finish. I was back into the surfing mode with the waves, but it just wan’t going fast enough. I tried to get back into the groove of a good stroke pattern, but I was definitely tired after fighting the water. I turned out of the water and headed to the ramp. I was out. Wetsuit stripped by a wonderful volunteer and on my way to my bike. As I ran, my right ankle hurt. The transition area was long, so it took just a bit longer than normal to get in and out. That was okay. It gave me a minute to gather my thoughts as I mounted the bike. Off I went. I knew there would be wind, but I was not prepared for what that would mean today. 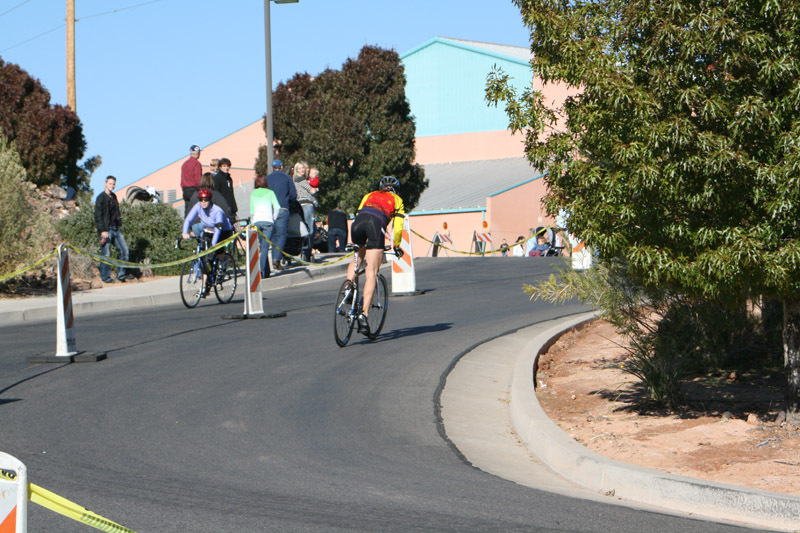 The bike course is quite challenging and one I am familiar with as I rode it in Pumpkinman last season. 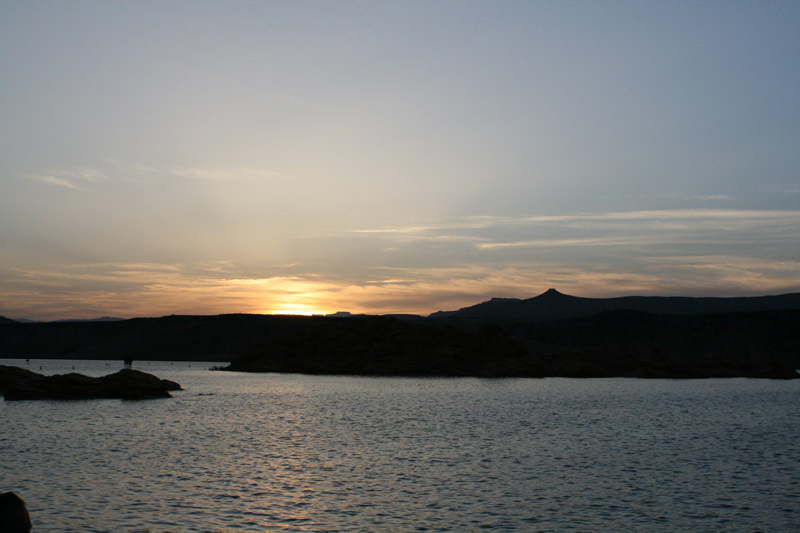 It is made up of nice smooth roads the parallel Lake Mead. There is a lot of elevation change as the road winds up and down with steep rollers and some longer climbs. In perfect conditions it is a tough ride. Today, would be an entirely different game. The first 14 miles went by quickly as we had a tailwind coming out of transition. I was feeling good and knew I was in a pretty good position out of the water. I was passed by one woman shortly after we were on the main road, but she went by like a bullet and I just waved goodbye and sent her on her way. I was settling in for this long 70 mile ride. There was no need for me to do anything stupid. 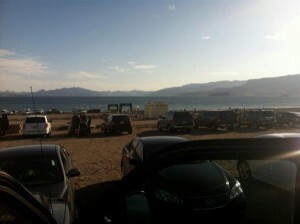 After about 14 miles the road turns out of the main Lake Mead area and into the rollers and canyons of the lake. The wind was still at our back for the most part, but was blowing more and more like a cross wind. As you would descend into the little ravines and drainages the winds would shift from one side to the next. You would have to be prepared or else you would be fighting in one direction only to be blown in the opposite direction. It was shifty wind, but it was okay. I was starting to anticipate the changes in the wind by the look of the terrain. 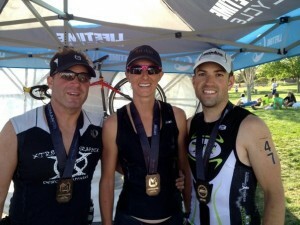 I definitely wasn’t happy with the instability I was feeling on the bike, but I was okay. I was maintaining a good areo position and just riding through it. The turn around was about mile 35 and was preceded by a very long climb. Even with the tailwind, the climb was challenging. I just stayed steady knowing that the summit and turnaround were near. I had planned a quick stop at the turnaround to fill a nutrition bottle and then I would be good to make it all the way back to transition. As we summited the hill and rolled over the top, I knew that I needed to shift my bike quickly into easier gears or else I would have a BIG problem after the 180 degree U-turn (which would take me quickly back up to the top). I shifted to fast only to have my chain caught and my pedals doing absolutely nothing. 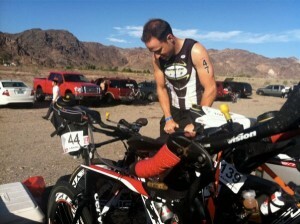 I successfully unclipped and jogged my bike over to the aid station for a quick fill. I not only had to fill my nutrition bottle, but when I checked on my 42 ounce water (that I carry under my saddle through a hose system)…..it needed to be filled as well. Clearly, it was hot and I was utilizing A LOT of fluid. I was back on the bike and feeling okay…….knowing the worst was yet to come. As we headed back down the long hill we just climbed there seemed to be a lot more uphill than I expected. I honestly didn’t remember those descents when we were coming up. They were killer from this side. The wind was now straight in our face or blowing across the road in either direction. There was no consistency, whatsoever, to the wind. It was blowing……..HOWLING from every direction (but behind us). If there was a break in the wind it was followed by a crosswind that would knock you into the lane of traffic where you prayed there were no vehicles. It was becoming too difficult for me to hold an areo position. I needed to be on my brakes for fear that I was going to lose control or tip over. I was tense and anxious. Any descending was met by swirling wind that made me slow any speed I may have picked up. This was becoming brutal! This was becoming UNSAFE! Mentally, I started to crack. I still had 20 miles left to ride and I was being blown and tossed around from every direction. There were moments I honestly did not think I was going to be able to hold my bike up right. I wasn’t passed a ton on the way back which made me realize that I wasn’t the only one suffering. I had seen quite a few girls just a few miles behind me at the turn around, but only one passed me on the way back in. It didn’t matter though. I wasn’t “racing” anymore. I was merely surviving and I didn’t want to do it any longer. I had thoughts of pulling the plug on the entire ordeal at the upcoming aid station. I was having a conversation with myself about why I would even continue this. IT WAS CRAZY! I didn’t want to ride anymore. I didn’t want to be scared out of my mind that I was going to fall over or worse, be pushed into traffic. Plus, the run was next and my foot was just going to start hurting and who knew if I would be able to finish anyway. Things were not very positive. I mounted the bike again and told the guy next to me that I was done! I didn’t want to ride anymore. He looked at me and said, “We are almost there. You can’t stop now.” He was right. Thanks Ron #99. You truly got me through those last few miles. 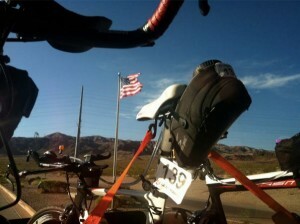 The wind just got worse the closer we got to transition. So much so that I don’t think I was pedaling much over 10 mph….downhill or uphill. It didn’t matter. I was being ripped to shreds by this wind. When I did get passed by some of the guys, I looked at them in awe. I didn’t know how they could go that speed in the crosswind. Was I doing something wrong? Do I need to work on my bike handling? Who knows. All I do know is that it was scary. I started having the thought that if I did blow over…..what if it was in front of a car and they didn’t see me? This ride had turned into pure survival. I wasn’t in a race anymore. I was here to get from Point A to Point B in one piece. I prayed I would make it. I even prayed for a flat tire…..a mechanical……something. I needed an excuse to stop. I WANTED an excuse to stop. But again, for some reason I just kept pedaling. Slowly……but I just kept going. FINALLY I turned into transition. The last 10 miles of that ride were the longest 10 miles of my life. I handed my bike to a volunteer and told her to keep it…….I didn’t think I wanted it back……..EVER! I got my transition bag and slipped on my running shoes. Out I went. As I had turned into transition I had seen others headed out on the run. Heads down…..walking…..jogging……I knew it wasn’t about to get any better. My right ankle hurt immediately. I knew it was going to. The pain was not so much that I couldn’t run…….but it was there. I was just going to take it slow. I knew there would be aid stations every mile. I was working for that aid station. One aid station at a time. The run course was 8.34 miles all up hill. I know. I know. All up hill? Yeah right? I’m serious. It is ALL THE WAY UP HILL. A very steep hill at times. Oh yeah. There was a head wind……..THE ENTIRE WAY! The good thing was that my body (outside of my ankle) was feeling good. My nutrition was on and I was good to go. I had taken in the right amount of calories and electrolytes on the bike. That was a good feeling in such difficult and HOT conditions. So with my head down, my ankle hurting, and my pace excruciatingly slow, I made it to the first aid station. I quickly went to the bathroom, took some water and was on way. I continued my nutrition plan and that was working beautifully. At mile 2 they handed me an ice-cold towel that was like heaven. THANK YOU VOLUNTEERS ON THE RUN COURSE. You guys were INCREDIBLE! At about mile 2.5, I saw Craig in front of me. I was excited to see him. Knowing that he and Heath were out there was helping me mentally. He was struggling a bit, but who wasn’t. We hit the aid station together, I took some nutrition and headed on to aid station 4 and the halfway point. My ankle was “okay”. Hurting, but not getting worse. I could handle it and DARN IT……I was going to finish this race! Mentally, I was doing much better being off the bike. It felt good to be on the run and though it was slow, I felt like I was making progress. I was never passed on the run, but did a bit of passing myself. The wind did not stop. If anything it blew harder. Sometimes so much so that you would bury your shoulder and actually have to press into it. When I got to mile 4 the wonderful volunteer ask me if I wanted Coke………SHE HAD COKE! I could have kissed that woman! It was flat and warm, but I didn’t care. I WANTED COKE! It was beautiful! I took down a bit and had some electrolytes and was on my way to Mile 5. At Mile 5 or maybe Mile 6 they had Coke (ice cold this time) AND cold towels. Heaven! Before I knew it I was on the final climb. My pace was not much better than a 10:30 mile, but I didn’t care. I was moving forward and I was feeling good. The final climb was long and steep, but I knew at the top, I was DONE! I climbed and climbed with Coach H’s voice in my head to keep my cadence high and that it is always easier to run uphill than walk. I didn’t walk at all Coach! Head down in the wind feet pumping! 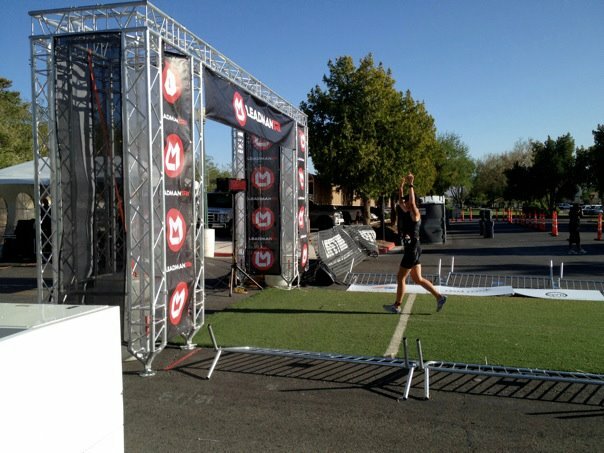 As I crossed the finish line the announcer said that I was in the top 10 females. WOW! I didn’t expect that! 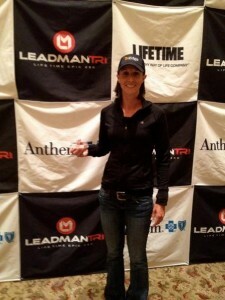 I was actually 6th amateur female and 2nd in my age division. For a race that I pretty much gave up on…..That was a nice cherry! Love these boys! They carry me through more than they know. I have to say that this was the toughest race of my life! It wasn’t necessarily a BAD race. It was tough! It was unforgiving! It was brutal! IT WAS EPIC! Under different conditions this would have been an entirely different race……but this is what we got this year. This is what we had to deal with and I have to say everyone who went into that water was a champion! There was no loser……..Trying was the name of the game! I don’t think I’ve ever been so proud to receive a finisher’s medal at an event! It doesn’t even matter what place I got on this one…….It was that I kept going and I didn’t give up even though I wanted to……I never wanted to give up so much in my life…….I didn’t! 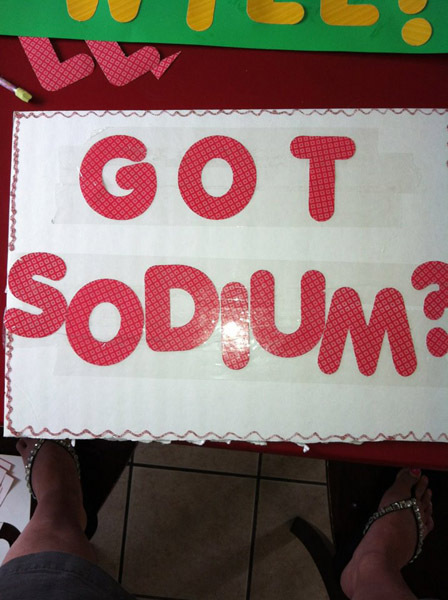 Those white stripes are SALT! What a HOT day! 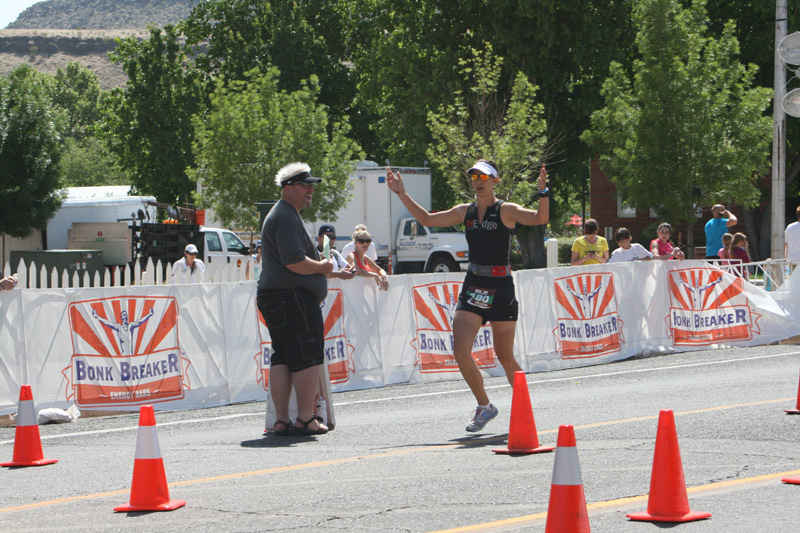 Now it is on to Ironman St. George. 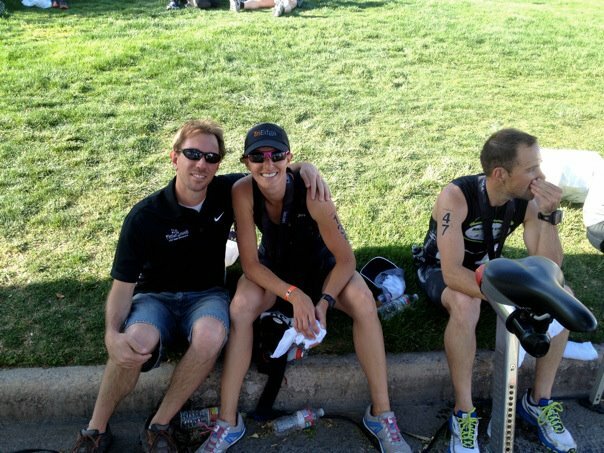 I don’t know if Ironman can get much tougher than what we went through this weekend. Those who can compare, said it doesn’t. In that fact, I know I am ready. I can do this Ironman thing. I just hope my body is ready for the challenge. I’m off to the doctor this next week for the ankle. Fingers crossed, it is something that some extra rest will take care of. Thank you LifeTime Fitness! You put on the BEST triathlon I have ever experienced in my life. You made the toughest race, bearable. From staff to volunteers. 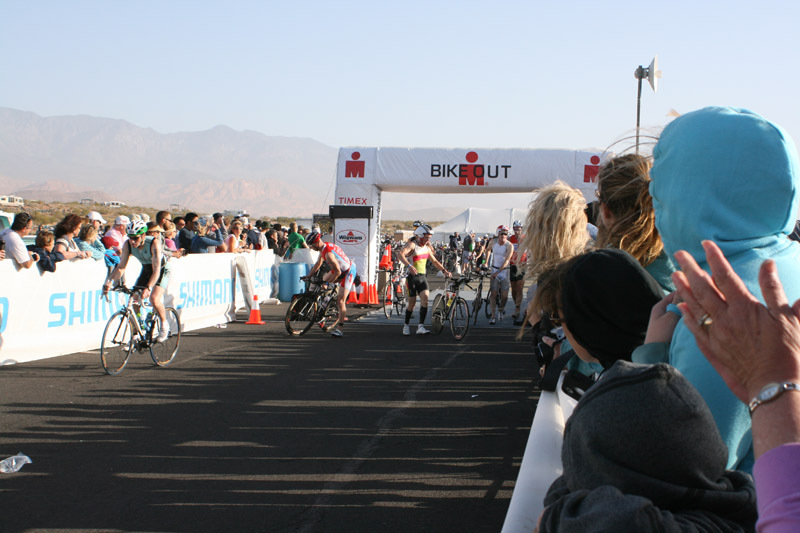 From packet pick-up to the finish line. I WAS SO IMPRESSED! I will be back and you’ve got me very tempted to sign up for next year’s Vegas Epic 250. A glutton for punishment…..I WILL BE BACK! Ice bath in the lake.......Heath is just a baby and won't get in. Awesome. Way to dig DEEP, VERY VERY DEEP. I thought about you on my 15 miler today where i think i was averaging 6. I gave up at 7.5 turned around and prayed for a tailwind. I thought how did they do that in this yesterday for sooooo many miles. The wind changed I swore at it, it didn’t listen. but then it changed again. I put my head down and peddled faster then I ever have to get home quick. Thank you tailwind. So thank you for being in my head to get me to 7.5 cause I almost gave up at 3. You are a champ. i, too, did leadman this weekend and feel so much better after reading your report. 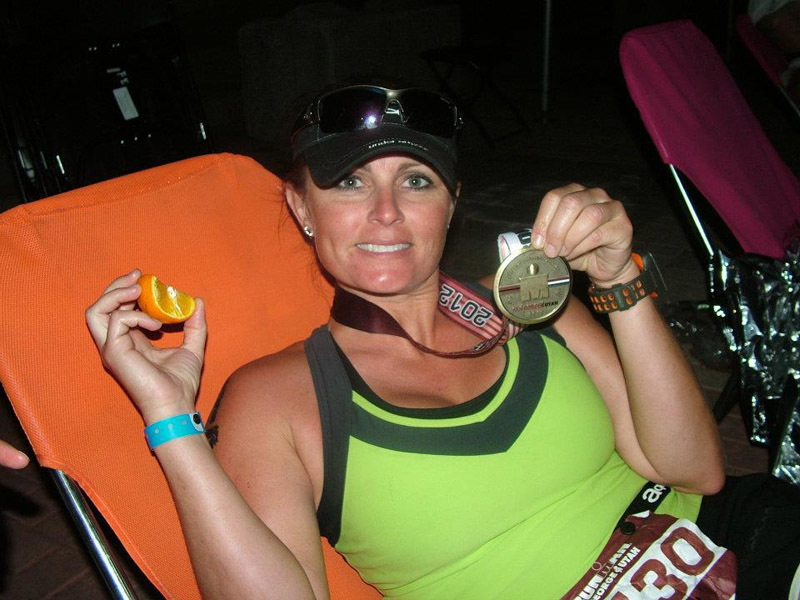 as an eleven-ironman finisher (including hawaii and lanzarote), i’ve been on some tough courses. 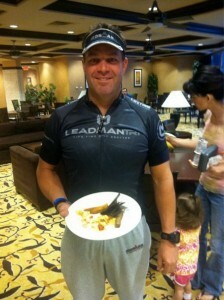 leadman, by far, was the worst. my swim felt like a drown. and as a decent swimmer, i was wondering, just like you, “how are weak swimmers handling this?” your description of the bike mirrored mine — scary awful. not only fighting the wind, but battling the dnf demons. i’m a type 1 diabetic and experienced a low blood sugar problem at about mile 50 (i’d eaten all my nutrition) and was weaving all over the road. i wanted to unclip, but the wind was blowing so hard i didn’t feel safe doing it. finally a race marshal pulled up and found a bar for me. i beat the bike cutoff by a few minutes but was in no condition to attempt the hike to the finish. besides, the course was going to close in less than two hours and there was no way i’d finish in time. it was a very disheartening race for me … the only positive is that i didn’t bail out on the bike leg (tons of bikes in the sag trailer). i’m also doing st. george. hopefully we’ve paid our paid our bad-weather dues and will have good conditions for IMSG. wow, you did great on saturday. you should be really pleased with your training because you’re going to crush it at st. george. Thanks for your comments Jane and sharing your experience! What a tough day for everyone involved. See you at IMSG! AWESOME report.. You nailed it, couldn’t of said it better myself. Unless you did it.. I don’t think you can really explain how mentally and physically tough that was. I enjoyed reading your post. I will be anxious to hear your comments on IMSG as we were ther to cheer on Jameson King. 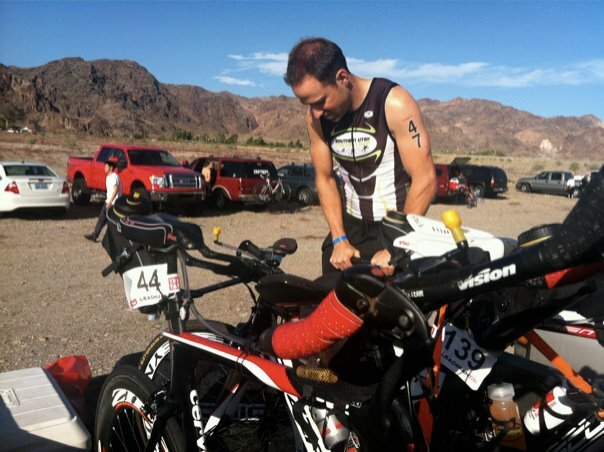 I am thinking it was a similar struggle for the swim and bike at IMSG What do you think? Thanks Steven! IMSG report just went live! Check it out! Hi there! I’m a little late to the party, but I was looking for a good description of Leadman after a friend of mine asked me if I’m ready for the Alcatraz swim. Perfect description. I’m still having scary Leadman flashbacks, but am proud to be a survivor (I relayed, and just did the swim, but that bike looked horrific). Anyway, thanks for describing it so well, and best of luck on your racing season! Hey Rebecca! 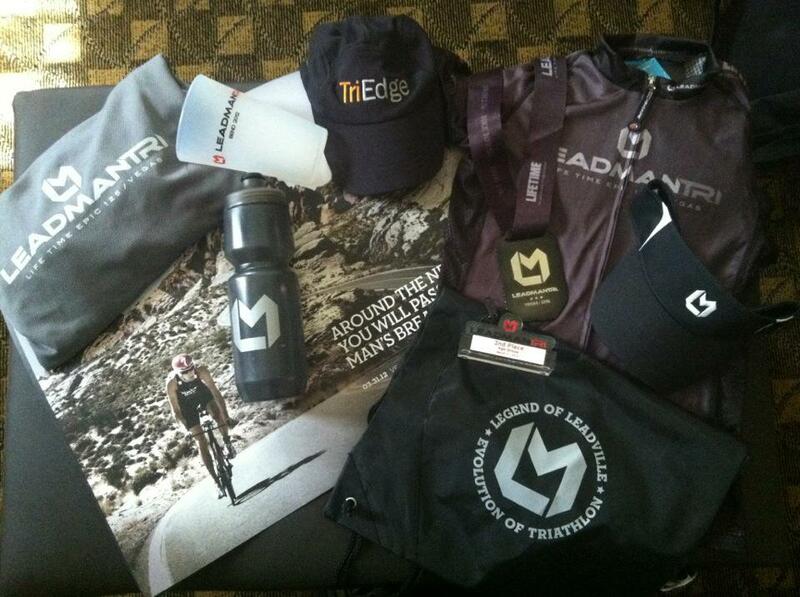 The crazy thing is that I honestly didn’t think a swim could get much worse than Leadman (without being cancelled). Then there was IMSG. It even put Leadman to shame Regardless, it has been a crazy racing season so far with all the windy conditions all over the place. Good luck in your season! Thanks for reading!